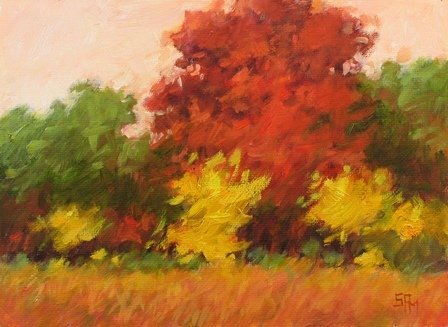 Original Oil Paintings by Artist Suzanne Poursine Massion - "Middlefork 4"
I want your new artwork to add to the beauty of the space it will occupy. For this reason, buy this painting with the confidence that you can return it in 7 days. Please remember, colors will vary due to individual computer monitors. Impressionism, what is it? 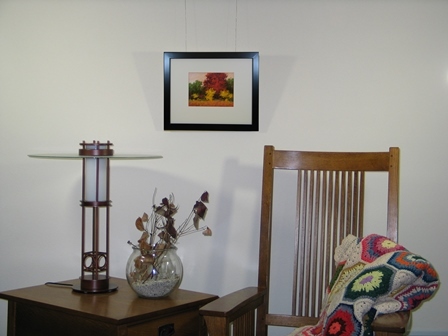 It is a way of seeing what natural light does to local color. Is the light cold or warm? Are the shadows cold or warm? In my view, the temperature of the light is opposite the temperature of the cast shadows. Simply put, everything stems from the light. Oil on medium texture artist canvas. 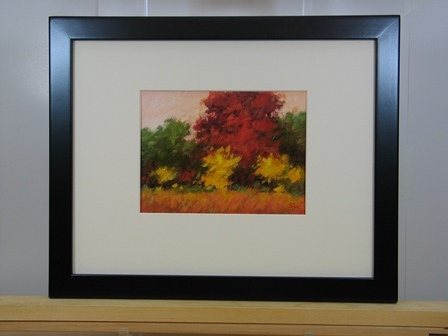 This painting is unframed but matted to an 11"H x 14"L size.